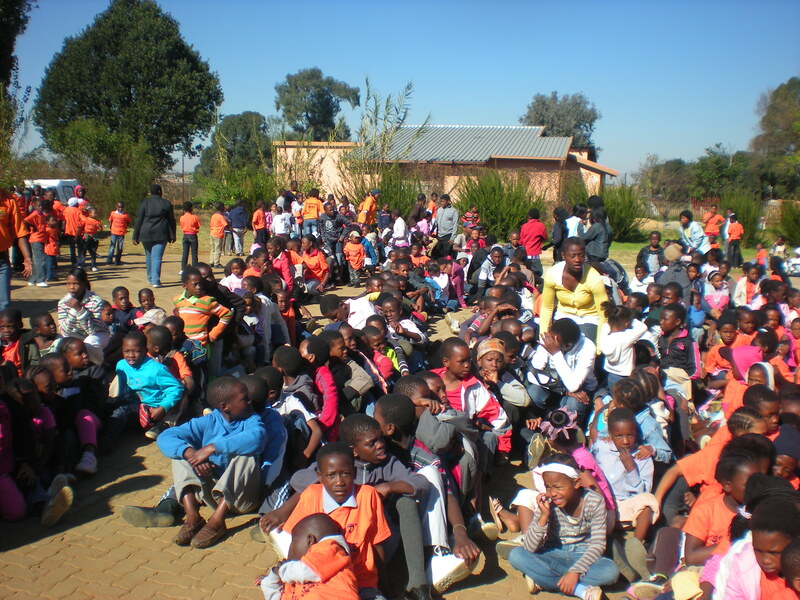 Sithand’Izingane Care project – We love children – is an NGO in Tsakane / KwaThema township near Johannesburg in South Africa. In this township hundreds of thousands of people are living in poverty. The Sithand’Izingane Care project offers support to children, youth (and their families) who are affected or infected by poverty and the HIV AIDS epidemic. The project started in 1998 and has built a very good reputation with the local community and with local and international donors. The project is situated in Withok Estate opposite the Langaville township, in the so-called greater Brakpan area, 56 km south-east of Johannesburg. The project was founded in 1998 by a group of women involved in two local Catholic churches: The St. Paul’s Catholic Church in Tsakane and St. Martin de Porres Catholic Church in Geluksdal. All original founders are still involved in the project as volunteers, directors or community workers. Initially the project was started to provide food to the local children. Later activities were expanded to include crèches, after school care, counseling, education and family support. The first 11 years we mainly worked in the Geluksdal and Tsakane area, but since 2011 our focus lies in improving the welfare of children and young people in Geluksdal (Extension 3) and LangaVille (Extensions 1, 2 and 8). Currently, over 700 children, youth and their families are registered with the Sithand’Izingane care project. The project covers e.g. five early childhood crèches, in different locations of the township and also a feeding scheme. In addition, every day at least 250 children come to our own projectlocation for various programs such as after-school care, distribution of meals, counseling, educational programs, psycho-social support, sports, music, and cultural activities. We grow herbs and vegetables in our own garden to provide forour meals, we train women in our sewing classes, and since 2008 we run a small library for the kids. Recently we started a youth development program. Sithand’Izingane care project was officially registered as an NGO in 2000 with the South African Department of Social Development. The project is financially being supported by the South African Department of Social Development, the SACBC (South African Catholic Bishops Conference) and various local and international sponsors.